It was a glorious day when we woke up so the house work was done and we wanted to go to the bank to pay two cheques in. I do banking on-line but sometimes we have to go to tha bank and i was wondering if it was still there. They are closing them and Weather Spoons turn them into lovely eating places. We park in the football park but so did so many visitors today.the school holidays are defiantly underway, all the roads to our coast have been so busy. We carried on into Favesham High Street. It is a very quant unspoilt part of Kent. Faversham – Kent’s undiscovered gem. A Royal market town bristling with character and history – but just an hour from London by high-speed rail. Independent shops galore, antiques, open countryside, sea breezes and a hidden haven for foodies too. We went into the bank and then walked around people watching. Traveling home again was so lovely with the windows open and the breeze ruffling our hair. A big thanks to ‘Oor Wullie’ for helping Asbestos Action keep awareness of the fact that asbestos is still with us in commercial and domestic properties, public buildings and schools. With around 2,500 people dying each year of an asbestos related condition let’s make sure that this stops NOW! Good luck to the The Archie Foundation Tayside who will be raising funds by auctioning off the various ‘Oor Wullies’ on display around Dundee. I love Oor Wullie and think he should tour around schools where children would love him and learn so much or Shopping Centres. Something like that sticks in people’s mind. Asbestos Action (Tayside) is a Scottish charity that has been set up to assist sufferers of asbestos related diseases. We are a voluntary, not-for-profit organisation set up to provide practical support and advice to those who have an asbestos related disease. We want to ensure there is a local service in the East of Scotland to respond to any queries that a person diagnosed with an asbestos condition may have. The charity was formed by a group of people from the East of Scotland who either have an asbestos related illness or have cared for someone with an asbestos linked condition. The planning permission for Thanet Earth allows us to construct up to seven greenhouses. So far we have constructed four. The investment required is enormous, with the projected cost of completing all seven standing at £135m. With such a big investment, it’s no surprise that there are a number of partners in the venture. The UK’s largest privately-owned fresh produce supplier, Fresca Group Ltd, originally purchased the site and maintains a 50% stake in the marketing business on site that sells the crops (Thanet Earth Marketing Ltd). The remaining 50% of the Thanet Earth Marketing business is owned by companies who are specialist growers – Kaaij Greenhouses UK Ltd, Rainbow Growers, A&A Growers and Fresca Group Ltd. These companies have purchased their own greenhouse plot and constructed their greenhouse at Thanet Earth. They all pack and market their crops through Thanet Earth Marketing Ltd. I love the Tomatoes as they box them up mixing all the different named tomatoes and sell for £5.50 per box and I eat them in sandwhiches, on toast etc etc. Everyone at Quex camping field gave me a warm welcom and we realised what I had been missing while in treatment and off to conferences. We settle down and got the chairs out and had a good natter. Also we walked with Louis and just had a great time. The gnats did come out Saturday night and that was the last thing I needed for my edima legs as the skin feels paper thin. I put on plenty of cream. On the whole though Im stronger and found walking easier even if I did use a walking stick to get to the farm shop but I got there. So we have come ho,me with the promise of going back Thursday or Friday as Im going to take a lap top. Trying to do my work on a phone is imposible I dont know how everyone does it. Rested and now back home washing done and caught up with the Mesowarriors and friends. Today was a funny day as we had to just pop up to the Royal Marsden for a final trial blood test. We didn’t mind really as I love seeing everyone and catch up with all the news. All those that know Carol will be pleased I walked straight into her as I got there. she is working part-time but she looks so well after her heart attack at Christmas. A hug cuddle was very welcome. My very own Dracula from the DDU blood room met me as he came out of his office and informed me that he will be dealing with my blood this time, as it is to wrap up my trial. He has to seperate everything out and send them to Merck. My DNA will be looked at again. Everything being compared to my first tests right at the beginning of my trial. I sat in the day ward and everyone was shouting out “How are you ” it was lovely to see them all. Lorraine took my blood and vital signs and I weigh myself. With that done it was the waiting room and wait for the Doctor. A young man in the waiting room was crying “Oh goodness I wanted to hug him” It breaks my heart to see such a young man so unhappy. There was talk about contacting the GP so I wondered what the bad news was. I was called in by the Doctor. She was so pleased I looked so well and said they are finding that the cancers are not coming back as the Immune System does all the work now when patients have complete response likemine, I pray she is right. They will learn from me as I’m the first Mesothelioma case in the UK. I’m so happy with that fact. I feel it has been for a reason and that reason will go on with me and so I’m having a scan every 2 months from now. I had a thorough examination of breathing and heart chatted about my edema, this is a permant thing that I will just have to make sure keeps mild and doesnt get any worse. So that was it I was free to go home. We went to the canteen and had a coffee and pastry and then went out into the sun. It was lovely to see patients sitting in the warm as it has always been cold or wet so we havent done that this year. The journey home was good and we grab Louis and went to the country park and he ran wild chasing the ball. So I got his paddling pool out on returning home and he had a cooling down. It has been a great few days as we made our way to Bristol by train, crossed to Padington station to arrive at our destination. Te reason for this trip was to see a Daughter of a Mesowarrior (Angela) recieve her Degree of Bachelor of Sciience at Bristol Uni where she has been studying. She has had her 21st Birthday as well so life has been exciting for Dolcie. Her Degree is in Cancer Biology and Immunology and to top it all she passed with first Class Honours. I was able to help her as I was having Immunotherapy drugs so she used me as a case history and I would like to think that is what gave the edge over others as she had interveiwed me. We met up on Sunday evening just to have a chat in our Travel Lodge and we were all so excited. Monday as the invite was just for one Ray had a great time walking around bristol as his pictures show. his feet hurt so bad as he hadnt realised just how far he had walked. In the mean time Angie, dolcie and I went by taxi to The great hall of The Wills Memorial Building which is a Neo Gothic building designed by Sir George Oatley and built as a memorial to Henry Overton Wills III by his sons George and Henry Wills. Begun in 1915 and not opened until 1925, it is considered one of the last great Gothic buildings to be built in England. So many young people waiting to recieve they diploma the future Doctors and Scientists of the future. I was so proud to be there and watch the tradition of the ceromony. A Mesowarriors Diary Living With #Mesothelioma. A Phone Call From The Royal Marsden Appointments in The Diary, Please Write to your School back Lucie Stephens #Asbestos in Schools Petition. We have managed to get the garden tidy again before the heavy rain Working together Ray cutting and me picking up the job was soon done and the rains came as promised. I think because of all the rain we have had a wonderful display this year. So healthy straight and tall. So does the bushes and when we have a small garden like this we have to keep it under control. I was pleased I was able to do it and I’m getting stronger all the time. This means I’m losing weight as Im moving around more. Not the couch potato that I have been for long periods through the 7 years. I do cat nap in the afternoon but Im doing better now. I had a phone call from the Royal Marsden and now my appointments are all changed. Why do they put you down, why do they take away your hope and your positive. Ok it might be true but we are so sensitive to how they talk to you. Strange isn’t it I went back to how I felt in the cupboard when a young Doctor told me I only had 3-6 months to live 7 years ago. We really do need to get through how the patient needs to be spoken to with hope. I have been through 2 years of intense drug trial and been good and did everything that was asked of me. I put the phone down and tried to tell Ray but I broke down in tears he panicked and thought I had been told bad news now. So I’m still not free of the shackles of medical life. Im not moaning honest Im so grateful for all everyone’s achieved for me. i just know what upsets us Mesowarriors and how we like to be talked to. Of course I would like people to agree my Mesothelioma wont return but they can’t so I will just have to prove to them MR Nasty is Dead. My last Blog has really been approved by so many and our Asbestos in Schools campaign is doing well. Today I wrote another Linkedin piece to highlight Sues death from asbestos in her teaching life. her daughter is highlighting the subject so well and we have linked up and I back her all the way. Please consider writing this letter to your school to find out if it contains asbestos and how it is being managed. Government policy is for transparency around asbestos but currently parents only hear about if they ask about it. I am writing to ask you for more information about asbestos at <INSERT NAME> School. I am asking this because I am concerned about the safety of both the children and the teaching and support staff at the school. I’m sure you are busy, with many things competing for your time but I would ask that you find time to take these questions seriously. The latest research in the UK shows that over 86% of schools in the UK do currently contain asbestos, putting over 7 million pupils at regular risk of exposure. A survey by the NUT in 2015 found that only 46% of teachers knew if there was asbestos in their school. This lack of knowledge puts them and their pupils directly at risk. Mesothelioma has a very long latency meaning that many victims are diagnosed with the illness 30 to 40 years after their exposure. The number of UK teachers dying from mesothelioma has risen to 22 a year. This is currently the highest rate in the world and is predicted by experts to continue to rise. Children are particularly vulnerable to developing mesothelioma. A child first exposed at age 5 is five times more likely to contract mesothelioma than someone first exposed at age 30. It is estimated that between 200 and 300 people are dying each year as a result of exposure to asbestos when they were pupils at school. 2 million asbestos fibres can fit on a pin head but mesothelioma can develop from ingesting only one or two fibres. The fibres can pass through the smallest gap or crack. Has an up to date asbestos survey been carried out for <INSERT NAME> School? Is there asbestos present and is there an ‘asbestos management plan’ in place? 1. What type of asbestos is it? How much there is? Where is it? What condition is in it? What plans are in place for it’s management and removal? 2. Can the children knock, scrape or damage the asbestos? Can teachers or support staff disturb the asbestos? 3. Do all teachers, support staff and volunteers (including staff on temporary contracts) know where the asbestos is? Do teachers, school support staff and volunteers know what actions to take if they see any damage to the asbestos? Are staff and volunteers regularly updated on how the asbestos is being managed and the plans for it’s removal? Do all new staff and volunteers receive information about asbestos as part of their induction? 4. Will the school commit to producing an annual report for all parents and school staff reporting on the extent and condition of asbestos in the school and the plans in place for it’s management and removal? I’d be grateful if you could respond to this request by writing to me at <INSERT ADDRESS>. At the TUC Mesothelioma Action Day I met Gill Reed a lovely dedicated lady who was speaking on Brent Asbestos Exposure. It’s frightening to know how Schools have not been surveyed properly and have to be done again.. Looking at this photo again I’m the only one still here that is so frightening and upsetting. Tess Debbie and Jan we were all such friends and helped each other every night in messages through our journeys. Supporters make the unbearable, bearable. Tess has asked me (Alan) to write the blog again this week, as she continues to be very poorly. Tess has asked me (Alan) to continue with her blog for now, as her condition weakens. The Government must introduce and implement a policy for the phased removal of all asbestos from schools to be completed by 2028, starting with the most dangerous asbestos. MP’s recommended this in 2012 but no action has been taken. • Children are particularly vulnerable to developing mesothelioma. A five-year old child that is exposed is five times more likely to contract mesothelioma than someone exposed to asbestos in their 30s. It is reported that between 200 and 300 people die each year from exposure to asbestos as school children.All of these deaths are completely preventable. We’ve known the dangers since the 1960s with legislation controlling its use since the mid-1980’s. 2 million asbestos fibres can fit on a pin head but mesothelioma can develop from ingesting only one or two fibres. There are no safe levels of exposure to asbestos. Just As I thought I had a free diary I get an Invitation to a young Mesowarriors to go to Bristol Uni to watch her get her graduation. Dolcie Has been at Uni and I always knew she would do well as she is so dedicated. I have helped her out through the years with any questions she wanted to know as Mesothelioma is her interest as her Grand dad died with the disease. She has been getting firsts throughout her coarse work but also managed to get a FIRST DEGREE in cancer biology and immunology for her intercalation year. I was proud so proud and call her my little Doc. Also Dolc reached 21 and her party was in Bristol. I couldn’t go as I had already promised to do a talk at the TUC Mesothelioma Action Day but I looked at all the photos. I have known her for 7 years and we have been through so much and she has always backed me up though my treatments and always so interested in my trial. It will be good to stand there and see her go through the ceremony. I will be as proud of her as her mother will be. So we have put the dog in kennels and booked accommodation in Bristol and now look forward to the day. Booking on line should be easy but it isn’t as trying to work through booking a room was frustrating. They don’t explain that your booking wasnt going through as they were full up. I got through by booking a dearer room but that was just by chance -a fluke. The worse bookings we made yesterday was trying to book up for Amsterdam on Euro Star. That was the same that they were full up and that was why we wasn’t getting through. I couldn’t believe that Eurostar was full up through August and September. It’s a train so I thought it was like our own trains local. Sooo we have booked to fly. As it is a short flight I’m taking the risk with my lung and shouldn’t get clots. 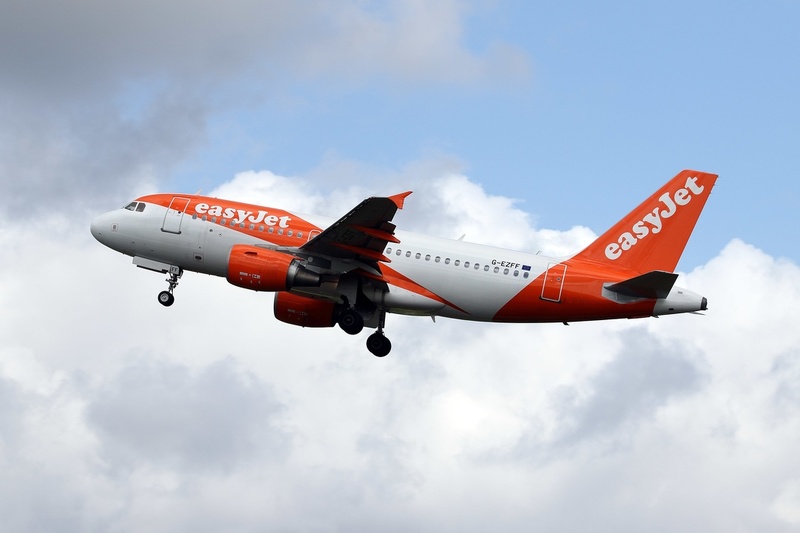 I have seen so many programs on telly about easy jet so it will be good to fly with them and maybe see someone from the show. THE EUROPEAN ASBESTOS FORUM STRIVES TO IMPROVE PROFESSIONAL NETWORKS AND THE EXCHANGE OF THE BEST AND NEWEST OF KNOWLEDGE REGARDING ALL MATTERS RELATED TO ASBESTOS. Remediation, innovations, best practices, limit values, raising awareness and improving safety in the workplace, national and European policy, enforcement of and comparing regulations and legislation, treatments, epidemiology, environmental pollution etc. All of it. Why? BECAUSE SHARING MAKES US STRONGER. Every country in the world has asbestos problems. Many have solutions of different kinds to these problems. But which solutions are the best? Instead of every country and sector reinventing the wheel, thereby costing untold many lives, precious time and wasted funds, the EAF encourages networking and sharing across borders and sectors. Sharing the best innovations, the newest insights, the best practices. Learning from each other’s mistakes and successes. The willingness to share is there! All it takes is to join. So meet your foreign colleagues and become part of the international network that is the European Asbestos Forum. Learn from the best and share in turn. That is what the EAF is about. For 2016, the main topic of the EAF conference will be: Asbestos & Buildings. On Friday 30th September 2016, Over twenty top experts from across Europe, the United States and Australia will attend the EAF conference in Amsterdam to discuss the ways in which asbestos in buildings affects our daily lives. They will represent a wide variety of sectors: survey, asbestos removal, estate housing, finance and insurance, enforcement, government, realty investors, accountants, etc. There will also be workshops on the morning of Saturday 1st October 2016. What duty of care does the real estate owner have regarding asbestos? What does indoor asbestos mean for the health of tenants? How can asbestos indoors be safely removed in innovative ways? Why does the Netherlands wish to eradicate all asbestos roofing by 2024? How to control a large asbestos calamity spread out over an inner city? What are the health risks caused by asbestos fires for the local population and emergency services? What does asbestos mean for your real estate insurance and valuation? IF YOU ARE AN ASBESTOS PROFESSIONAL AND SERIOUS ABOUT LEARNING THE BEST FROM THE BEST, MEETING YOUR INTERNATIONAL PEERS AND GETTING YOUR PROFESSIONAL ACT INTO A HIGHER GEAR, THEN THIS YEARLY EVENT IS WHERE YOU SIMPLY NEED TO BE. I have a few friends to meet and chat with so love the opportunity to be invited. According to the Automotive Recyclers of Canada (ARC), every year 1.6 million vehicles reach their end-of-life in this country. Those on the outside of the recycling industry may not consider the extent of toxic and dangerous materials that auto and scrap recyclers are faced with on a daily basis, while they manage, depollute, separate, shred, sort and crush valuable, recoverable materials. In auto recycling applications specifically, the end-of-life vehicles (ELVs) being dismantled and salvaged contain fuel, oil, mercury and refrigerants. They also can contain asbestos, which is a component of a large percentage of brake pads imported into Canada. In fact, imported, after-market brake pads are one of the largest categories of asbestos-containing products which are still allowed entry. With the goal of eliminating asbestos-related health risks associated with recycling ELVs, ARC has added its voice in support of a recent call for federal policies to effectively eliminate the import and use of asbestos in Canada completely. According to ARC, Canada imported more than $100 million in asbestos brake pads and linings between 2005 and 2015 and import of asbestos-containing brake pads continues to increase unabated. Asbestos is something that all of us should be concerned with, and its use in products that recyclers must eventually manage is an issue we’ll be following closely here at Recycling Product News. Our cover story “Taking auto scrap indoors”, starting on page 12, features Hamilton-based Bodyline Auto Recyclers. Bodyline is one of the first in North America to move their ELV recycling operations indoors, using electric-powered material handlers, and is an example of how auto recyclers are adapting and growing in a tough industry with ever-tightening environmental regulations. The Canadian Association of Recycling Industries is holding their 75th Annual Convention in Ottawa, June 9-12th. This year’s sessions will be focused on the challenges of current metal and other recyclables markets, trade and the economy. See our Last Word, this issue, for insight from CARI’s president, Tracy Shaw, who talks about the importance of the recycling industry as a whole, and the concept of “designing products for recycling” from the start, when it comes to creating a truly global circular economy. Eliminating the use of asbestos-containing brake pads in the cars we manufacture would certainly be a fantastic contribution to this end. It’s always sad to read of a Mesowarriors death but it’s so great that the Partner or Sons or Daughter can find the courage to share their story. We need the awareness of Mesothelioma and the dangers of Asbestos to get to the public as there is still many that don’t realise the dangers are still with us. People think that because it’s banned that we are safe but that isn’t true as so many Tradsemen are finding out. The people involved in stripping Asbestos out of our buildings find it in fire doors and frames, and around pipes. So many places. Tony White, who died following a short battled with mesothelioma. The wife of a former lift engineer who tragically died from a deadly form of cancer caused by asbestos exposure has spoken about the terrible affects of the disease. Tony White, of Elsworth, died from mesothelioma in May last year aged 68 – just 10 months after he was diagnosed. His heartbroken widow Gill, 69, who has spoken out following Action Mesothelioma Day on Friday, said her husband realised something was not right when he began to have breathing problems. “He went to the post box down the road which is a two or three-minute walk, he came back and said ‘I can’t breathe properly’,” she said. “I just said you need to go to the doctor. That was it. The doctor sent him for an X-ray and that’s when they discovered it was mesothelioma and he was diagnosed a couple of weeks after that. More than 2,600 people are diagnosed with mesothelioma each year in the UK, which develops in the lining that covers the outer surface of some of the body’s organs. Symptoms, which include chest pain, shortness of breath, fatigue and a persistent cough, typically do not appear until several decades after exposure to asbestos. It mainly affects the lining of the lungs although it can also affect the lining of the stomach, heart or testicles. Unfortunately it is rarely possible to cure mesothelioma, although treatment can help control the symptoms. Gill said Tony’s initial symptoms were just shortness of breath but he later had to have regular drains of the pleural cavity in the lungs – to get rid of fluid which was causing him pain and breathing problems. The illness progressed quickly once Tony was diagnosed and he sadly did not live to see the birth of his fourth great-grandchild who was born the week after he died. But Gill said the care of Macmillan nurses really helped them while Tony was cared for at home. Law firm Irwin Mitchell is currently investigating how and where Tony, a father-of-two, was exposed to the asbestos that caused him to develop mesothelioma. Another mesothelioma sufferer, former carpenter Robert Kempster, 79, from Haverhill, who was diagnosed with the disease in October last year, wants to raise awareness of the terrible disease in the hope it will show people how dangerous asbestos is. The 79-year-old from Haverhill, known to his friends and family as Bob, said: “I feel strongly that people should be made aware of mesothelioma. RIP and lets put a stop to this madness.